An ancient ritual to give your skin a natural, healthy glow. 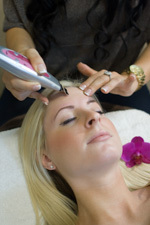 This gentle whole body rejuvenating treatment begins with a hand held dry body brush to exfoliate impurities, follow by a sugar and lactic acid customized to your skin needs; gently will exfoliate and stimulate new cells renewal; the treatment concludes with a body butter application to replenish hydration and renew elasticity. Removes dry skin. skin impurities; while stimulates new cells, helps to dissolved fat cells (cellulite). 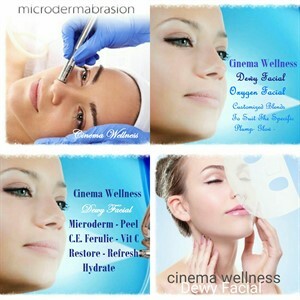 Skin will appear and feel Healthy, Smooth, Youthful & with a natural Glow. Safe highly effective skin resurfacing treatment exfoliates dead skin and stimulates your own collagen, minimizes stretch marks, leaves skin soft , smooth, brighter, healthy and glowing. A Deep Cleansing treatment, a customizable powerful mask or peel to prepare skin for extractions and concludes with a hydrating vitamin C mask to tame dry, irritated blemish prone areas.